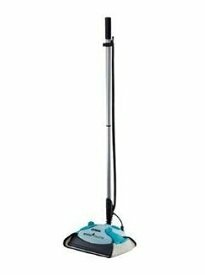 Steam mops are considered to be one of the most effective and affordable methods of cleaning hard surfaces in homes and offices. Many can sanitize surfaces without the use of harsh cleaning solutions as well. A steam floor cleaner makes use of heated water to clean certain areas and objects, such as carpets and hard floors. 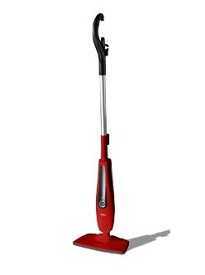 Machine steam cleaners utilized usually look like vacuum cleaners, except that they can get really hot. This is because the water needs to be heated to even as high as 200 degrees Fahrenheit to produce the kind of steam vapor cleans effectively. It's only through this heated vapor that you will be able to break down the bond that ties the surface that you're trying to clean and the stain or dirt that could be sticking on the surface. Steam cleaning machines can also produce dry steam. By this, the steam has less moisture contained in it. This way, when you're going to spray it on the area that needs cleaning, the surface can be scrubbed, rubbed, and even wiped by just an ordinary towel. 1. Steam can get through surfaces much better. Floors are made up of pores, where dirt and soil can get in even without you eventually seeing it. 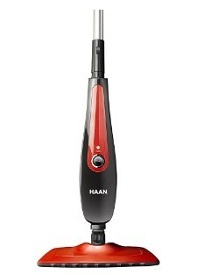 There are a number of vacuum cleaners that can penetrate them, but they cannot be as efficient as steam, which can actually get into the pores. This way, the dirt can be lifted and be easily removed through wiping or scrubbing. 2. You no longer have to use chemicals for cleaning. This can be one of the biggest advantages of steam cleaners. Normally, standard cleaning equipment still have to utilize cleansing agents and chemicals to ensure that you will end up not only with clean floors but even hygienic surfaces. However, the problem is some of these chemicals can be just too harmful for humans. Constant exposure to these agents may damage your body, such as your lungs, and even your brain. If you’re going to use steam cleaning machines, there’s no need to make use any of these chemicals just to get rid of bacteria and germs looming on the surface. The heat itself will be more than enough to prevent the growth and development of these viruses and germs. What’s more, they don’t leave any strong chemical odor, which may cause some respiratory problems, both minor and major. In the end, what you’re going to have is a home that’s clean, bacteria free, and safe for your family members, especially for your children, to live in. 3. You can use the technique in almost all areas that you can think of. Steam cleaners can just be effective in any kind of surface that you can think of: hard flooring, ceramic tiles, linoleum, etc.. It is efficient when you’re dealing with carpets, as well as stains and dirt that is common in restaurants, schools, and medical facilities. Furthermore, steam floor cleaners don’t only remove the presence of dirt and soil, but they can also remove the foul odor brought about by pet urine. 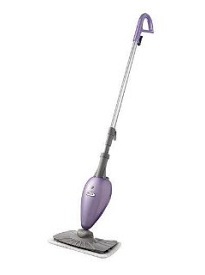 You can even make use of steam so you can eliminate stains and hair brought about by your dogs and cats. Steam is also efficient in cleaning mirrors, windows, sliding glass doors, and even screens. Mold can grow in your bathroom and kitchen sinks or in the grout between bathroom tile. If it is not removed, it may be the breeding ground for bacteria. That’s why you need to clean with steam so you can get rid of mold. As a matter of fact, the steam cleaning machine can even be utilized if you’re planning to change wall papers. 1. You may need to prespray the area before you can actually clean the place more effectively. Definitely, there are numerous advantages that you can derive from steam floor cleaners. However, before you think that it’s a miraculous cleaning material, you must keep in mind that you may have to prespray the area before it can be truly effective. 2. Heating takes time and can be dangerous. Depending on the model it may take a few minutes to heat the water to the right temperature. And once the cleaner is working, you need to be very careful not to accidentally let the steam flow directly to your skin. While we focus primarily on vacuums, for reviews and comparisons of individual steam cleaners, we recommend checking out the Carpet Cleaner Expert and their page about steam cleaners.